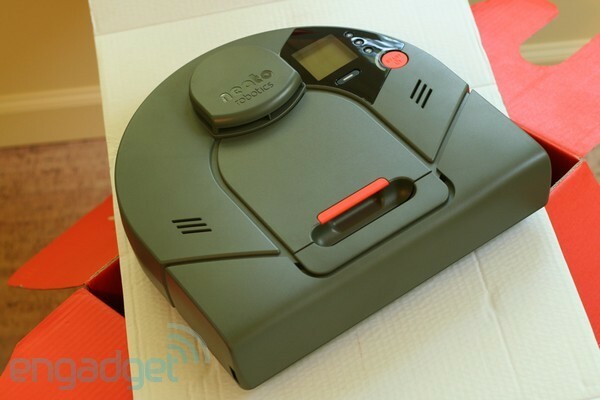 The Neato XV-11 is different in how it works when compared to the Roomba. When using the Roomba it has a large bumper across the front that when it bumps in to something, it changes direction. A sensor does detect an object but is there to just slow the Roomba down before hitting the wall. The Neato has a laser scanner installed that can scan the room while vacuuming to know where it can and cannot go. The review over at Engadget scored the vacuum well saying that it wont quite give the deep clean of a Dyson, but at the same time the Dyson wont automatically run it’s self around the floor for you. Plenty of dirt was picked up by the Neato and vacuum times were relatively quick when compared to the Roomba. Check out the full review with video over at Engadget.